It’s only been seven days, and yet the campers of PodCamp WesternMass II have already put me to shame in the race to post photos, recaps, vids, and other juicy bits of content on the InterWebs. 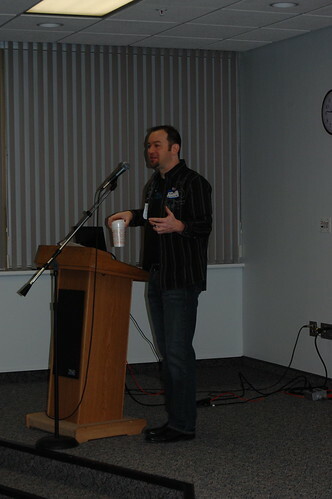 This One Time, at PodCamp…Boy, were my nasal passages clear! 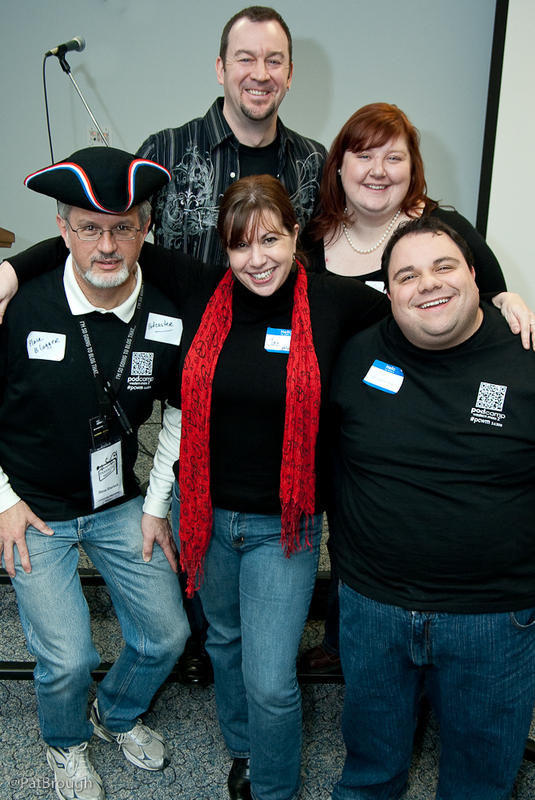 As he stood before a crowded room at the start of PodCamp WesternMass , PCWM CoConspirator and PodCamp veteran Morriss laid down the skinny. The message was clear that the next day, plenty of photos, videos, and blog posts would be flooding the InterWebs and no one would be exempt from seeing themselves in full PodCamp glory in any or all of the above. But there’s another facet to “No one is safe at PodCamp” that I also like; that collaborative, info-sharing aspect that means no one has nothing to learn. Indeed, in the world of social media, the learning never stops. Such was the lesson in Christine Pilch’s Advanced LinkedIn session . It began with solid advice, such as ensuring your URL is personalized (i.e. linkedin.com/in/writerjax , and moved assuredly into deeper territory. From the only left-handed desk in the room, I was already glad I chose this session, even though when I walked in I felt as though my LinkedIn profile was pretty locked down. The progress bar on the right-hand side of my profile-edit screen is a satisfying blue color, with an equally validating ‘100%’ at its far end. I have recommendations, a professional photo, a link to this blog, my educational stats, my job history, and a relatively pithy About Section. That said, LinkedIn is not the social network I know most about. 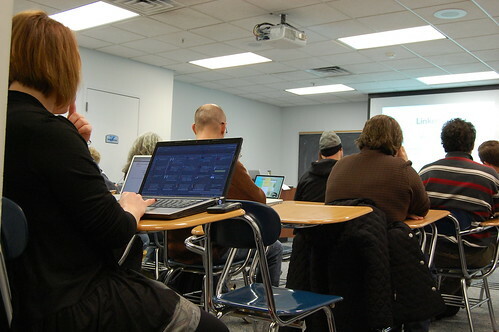 Christine is a great speaker and a thorough researcher, so I went into the class ready to work toward rounding out my SocMed knowledge base. Things started out much as I predicted. “Good tip: make your profile pic reflect your biz persona. Law enforcement in uniform, chef in chefs coat, etc,” I Tweeted as Christine explained the professional edge this can lend to a LinkedIn page. Occasionally, she’d use a real-life example to illustrate best and worst practices, with real names blocked out on the projector screen. I chuckled along with everyone else at other people’s goofs, until one posting made me pause and reread as the class guffawed. Wait. Oh, noes. That one is mine. Ewww! My fellow geeks wailed in unison. In the words of Arlo Guthrie, I’m not proud or tired, so I laughed, too. I realized quickly what I’d done: A few months ago when Twitter announced it would allow LinkedIn users to connect their accounts, I did so and checked the box to update my status on LinkedIn every time I sent a Tweet. My thinking was this would cut down on social network maintenance, and that the tone I’ve developed on Twitter would be fine for LinkedIn. After all, I try not to swear, whine, or bad-mouth, and I figured my Tweet Turnover was high enough that there would always be something vaguely professional or intriguing on LinkedIn during peak hours. My first instinct after this learning experience was to unlink the two accounts completely. Abort! Abort! But, it’s a simple fix, I found out, that still lets me update both accounts simultaneously – change the LinkedIn/Twitter settings to ‘only use #in Tweets,’ and you’re golden. Just pop the #in hashtag at the end of your finely crafted, uber-professional status update while updating Twitter, and the news is directed to LinkedIn automatically. The nose-chat stays where it should. On Twitter. The larger lesson here is that, as social networks proliferate, all of us have trouble managing and giving each site the attention it deserves. Increased connection between all of these portals — facebook to Twitter, flickr to facebook, and so on — makes it easier, but the learning process is brought full circle not by technology, but by people. People sitting together in a classroom, sharing information and moving the entire discipline forward… and sharing nasal wash recipes. Really! Not long after I outed myself as the nasal-Tweeter, someone turned around and asked for the mixture. Ah, SocMed. Something for everyone. Ha! Oh how I love that this story is spreading 😉 great tips on managing different networks, thanks! Anyone else have a favorite? I have to confess, I heard the nasal story too even though I wasn’t at the PodCamp. And even though I wouldn’t personally post that on LinkedIn, I don’t think it is end of the world letting people know that we are human and who knows you may have helped someone with similar problems. It also has hootlet which is the best and stats and so much more. Love Hootsuite! Weekends in the Berkshires just got a little more succulent; Perigee Restaurant in Lee has unveiled Lobster Fridays, featuring a different lobster dish each week for $29. Each week, a new dish will be prepared, ranging from Lobster Thermador (a French dish consisting of a creamy mixture of cheese, lobster meat, egg yolks, and liqueur) to Lobster Linguine, in limited quantities during the Friday dinner service from 5 p.m. to 10 p.m. 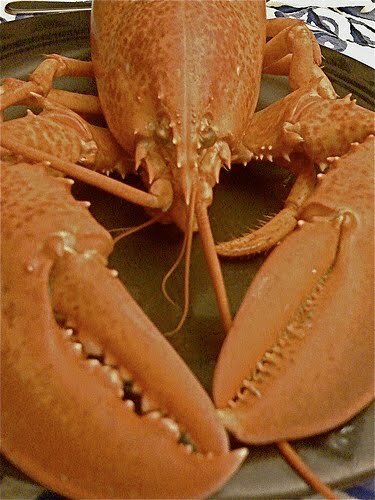 The dish of the week will be announced at Perigee’s facebook and Twitter pages; Lobster Fridays kick off tomorrow, Feb. 26, with 1 1/4 to 1 1/3-pound grilled lobster, cilantro butter, and homemade stuffing. If crustacean isn’t your thing, Perigee also serves up hearty bowls of velvety Baby Clam Chowder; Crisp-Fried Oysters in a Panko Crust, served in the shell with wasabi aioli; Pan-Roasted Salmon and Atlantic Fillet with wasabi butter, roasted fingerlings, and vegetables, or traditional New England Fish and Chips in addition to meat, poultry, pasta, Vegan, gluten-free, and vegetarian entrees as well as tapas at the bar. It’s a veritable sea of food!